Whattya Wanna Know About Honda's New Super Cub? We may sometimes seem like Honda fanboys here at CityBike. Editor Surj and Fish both own (and beat on) paternal twin CRF250Ls, I race a CBR600RR and keep a couple tiny XRs in the garage (and living room), and when we gather in the hallowed halls of World Headquarters, we don’t seem to be able to shut up about the new Gold Wing (full review coming soon!). 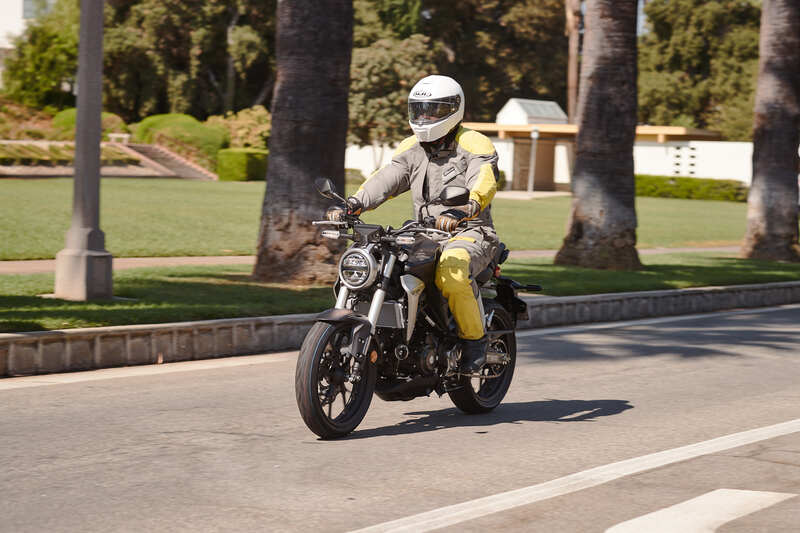 We all agreed that the comprehensive overhaul of the reborn Rebel made for an impressive machine for riders new and old, and that the NC700X is arguably the greatest appliance on the planet—at least until we get the 750X here in the US later this year. 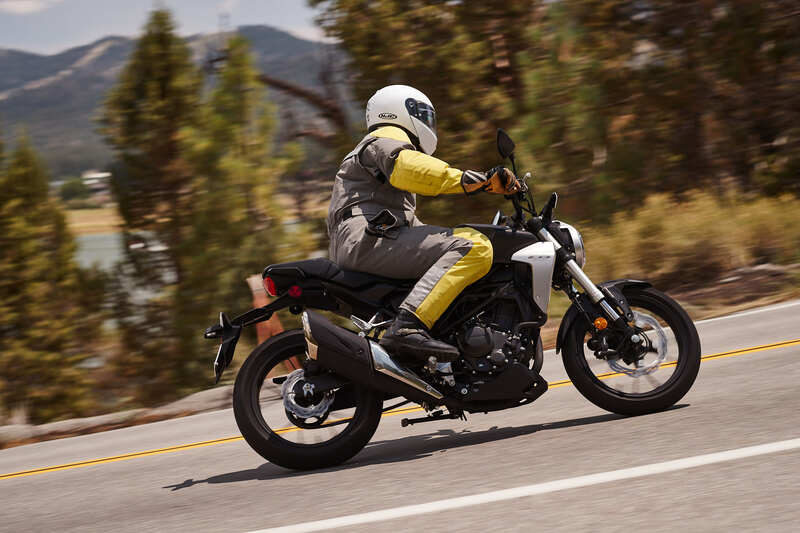 Between its dual-clutch transmission and its ever-expanding array of smallish, easy-to-ride, but still cool motorcycles, Honda has led the way with its recent efforts at making riding more accessible. I could go on (Monkey, anyone? 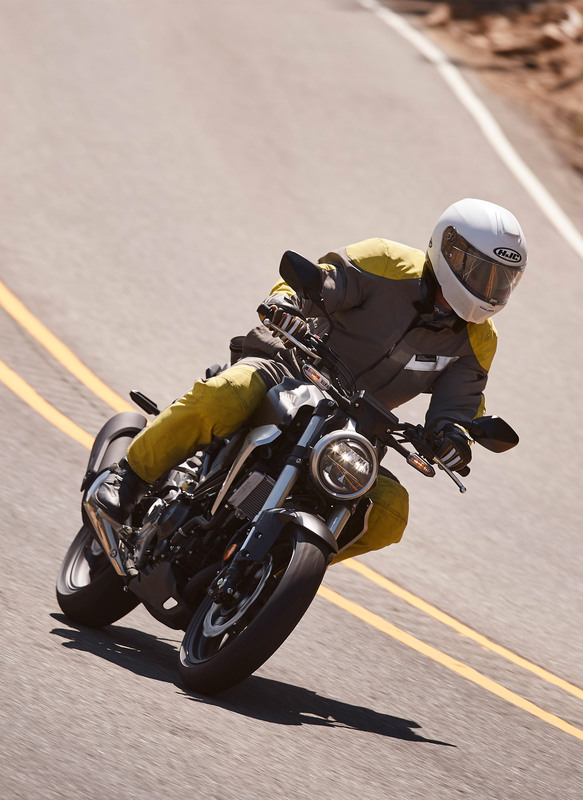 ), but I just spent a day riding the all-new CB300R, which Editor Surj covered back in April. 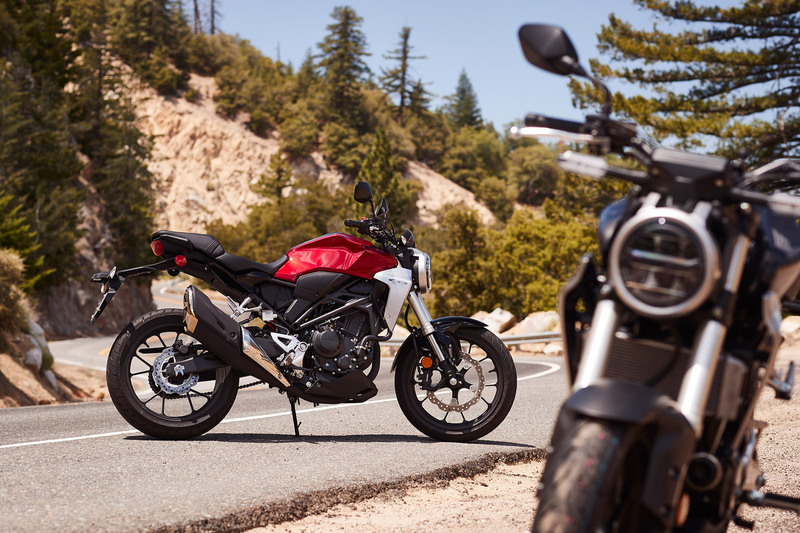 Some background: we enjoyed the 2016 CB300F, so I expected to have a good time at the 300R press launch, which began at Honda’s Colton, California training facility. 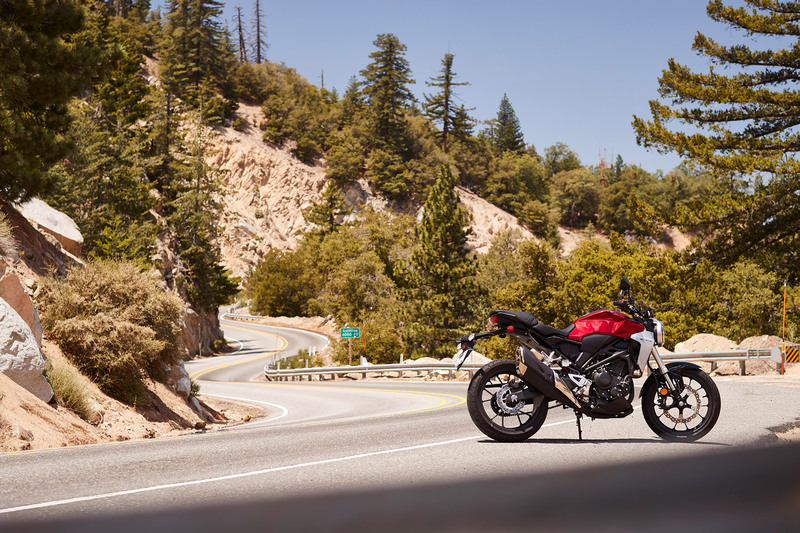 It was there that we learned about how the new 300R, with ABS, is 31 pounds lighter than the non-ABS F. If you don’t think 31 pounds is a lot of weight, fill your backpack with 31 pounds of rocks and do a few push-ups. 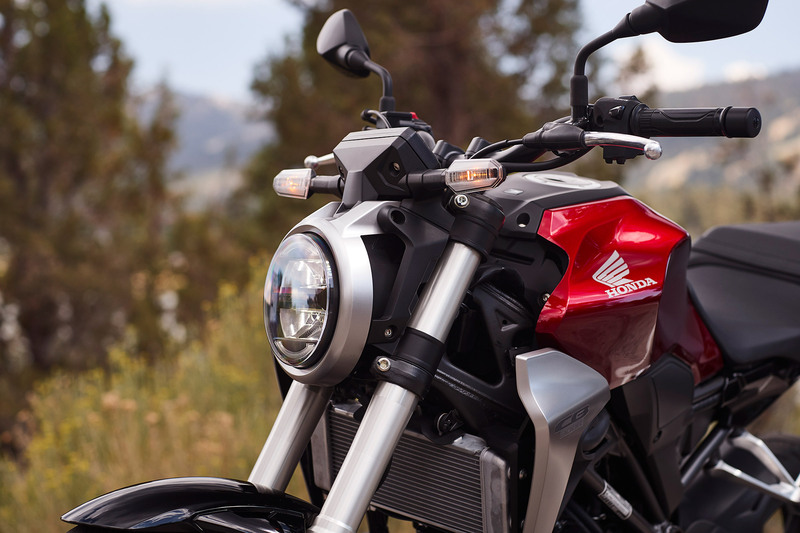 How did Honda add ABS and trim down an already fairly light (348 pounds) machine to 317 pounds, fully fueled and ready to ride (red)? 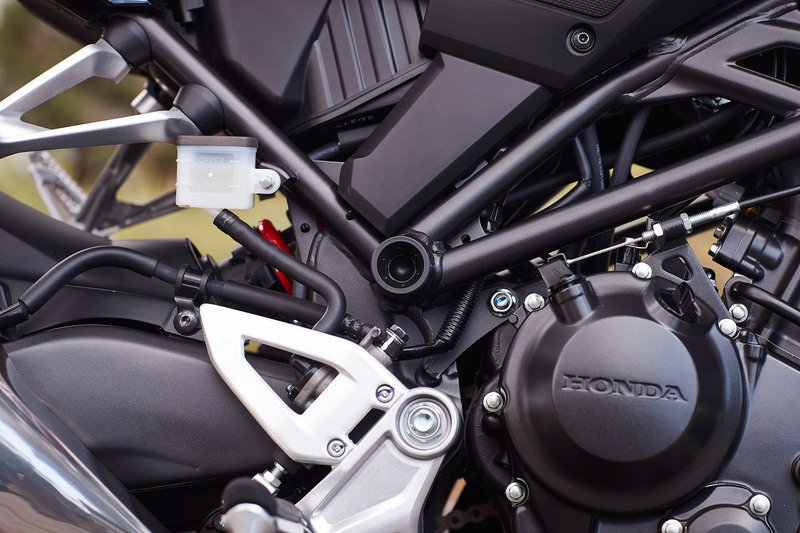 For starters, the R uses the “Neo-Sports Café” styling found on the larger CB1000R, making it an elemental, naked standard, stripped of any unnecessary plastic panels. Necessary plastic bits are thinner, like the headlight housing, license plate holder, and instrument cluster housing. All of the lights are LED, and in addition to the inherent weight savings they are all very bright. Great, but where’d the other 29 pounds go? The swingarm is new too, and employs a tapered thickness starting at the cross member and thinning out towards the also-new, hollow rear axle—both features shaving additional weight. Sitting on both bikes back to back, I could feel that not only is the new machine lighter, but that the remaining weight is carried lower. 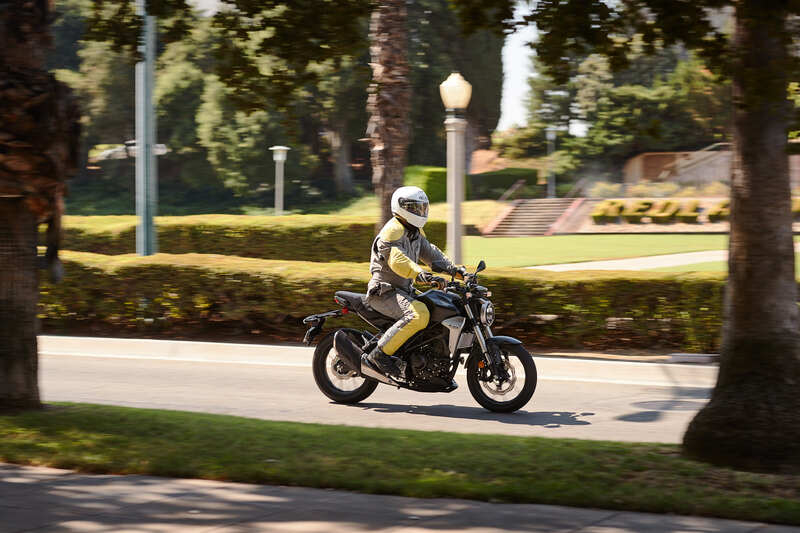 Any lingering doubts I might have had about Honda engineering making good on its weight loss promises disappeared like that 31 pounds once I got moving. Ergos are always a consideration when you are a “full size” adult on a “beginner” bike. I’m 6’1” and 200-ish pounds, and used the phrase “elbows on my knees from time to time” in my review of the 2016 F’er. That’s not the case with the new R: the riding position is less aggressive, not racey like KTM’s 390, more of a neutral upright. There’s enough space in the cockpit to move around on the bike when cornering, but the bike is so damn light that it really didn’t matter. “Flickable” is an understatement. I made short, easy work of a series of esses up in the mountains, and found myself overbraking or turning in too early for both right and left-handers for the first 20 turns or so. The 286cc single is already proven and revs with a freedom that should come with a bald eagle. Power is delivered with authority almost all the way up to the redline in every gear. Of course, since it’s a “300,” I did find myself looking for a 7th gear at around 70 MPH, but that’s not a surprise, and typical of just about every motorcycle around this class. Our route led from the Colton training facility up to Big Bear Lake for lunch, and then back down again. We rode a short distance on the freeway before attacking the mountain roads, and while it’s obvious that highway speeds are not exactly what the 300R was designed for, I maintained a consistent, if slightly frantic, 80 MPH. Breaking that ceiling isn’t impossible, but the R won’t be real happy about it. I say “frantic” because I didn’t really feel the speed in the bars, and the mirrors remained clear, but the bike clearly exhibited a desire to shift into that imaginary 7th gear I mentioned earlier. I rode the ABS R, which will set you back $4,949—$300 more than the non-anti-lock version. Laying down that extra sack of doubloons is a no-brainer, unless of course your idea of a good time is super-long rear wheel skids… On second thought, just kidding. Safety first. 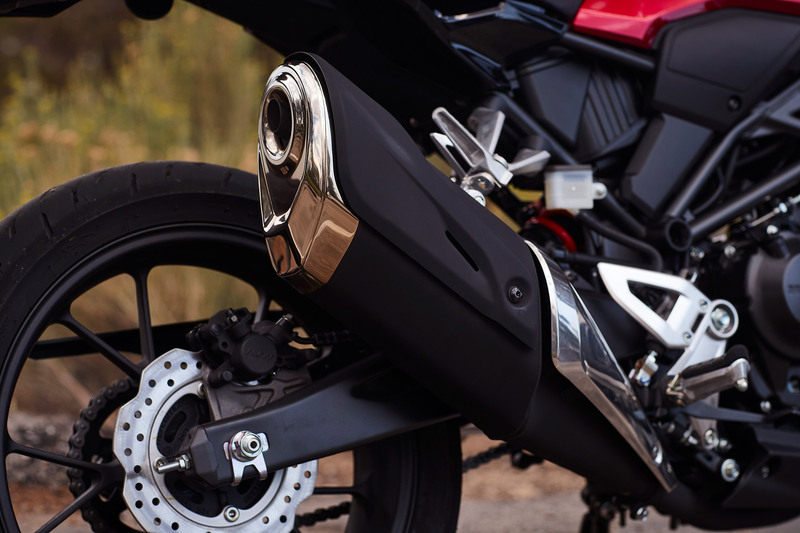 The ABS version’s IMU (inertial measurement unit) makes it nearly impossible to get any significant rear wheel lift under heavy braking, sensing when the bike is pitching too far forward and applying the ABS to prevent a 12 o’clock endo. Both versions come with a 286mm single disc up front, squeezed by a Nissin four piston caliper, and a 220mm/single-pot caliper out back. 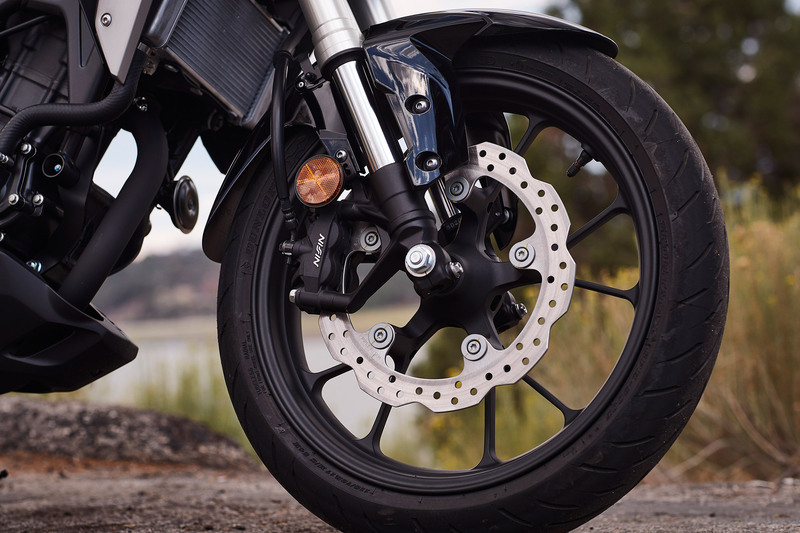 The front disc does not have a typical hub mount; instead, it looks almost like a “Honey I shrunk the Buell” rotor. Brake feel is consistent, but lacks strong initial bite. The 300F was almost the opposite, with great feel up front that trailed off into vague territory. I got used to the R’s lack of bite, and it made trailing late into corners second nature. 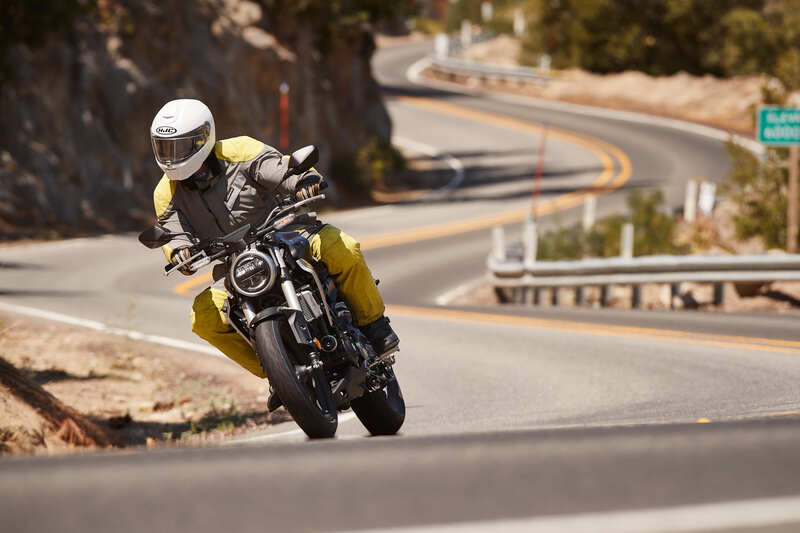 Both front and rear brakes offer a progressive, intuitive feel that I believe will ultimately prove user-friendly for riders of all experience levels, and given the choice, I’ll take predictability over initial bite any day of the week. The 300R really came into its own in the twisty bits. The 41mm fork tubes, while budget-spec, did not throw me any curve balls. The shock features seven steps of preload adjustment, and feels like it was chosen specifically by the fork in some sort auction or something: the damping was undeviating in compliance, handling my 200-ish pounds with only minor negativity, and even then only when I hit heavy bumps at heavier lean angles. There was one corner all day where I felt too heavy for the suspension, and I can’t say that about many smaller motorcycles. The bike is not without downsides. Its small displacement means you need to change gears more frequently than a politician in an election year to keep it in the powerband, or suffer the consequences. 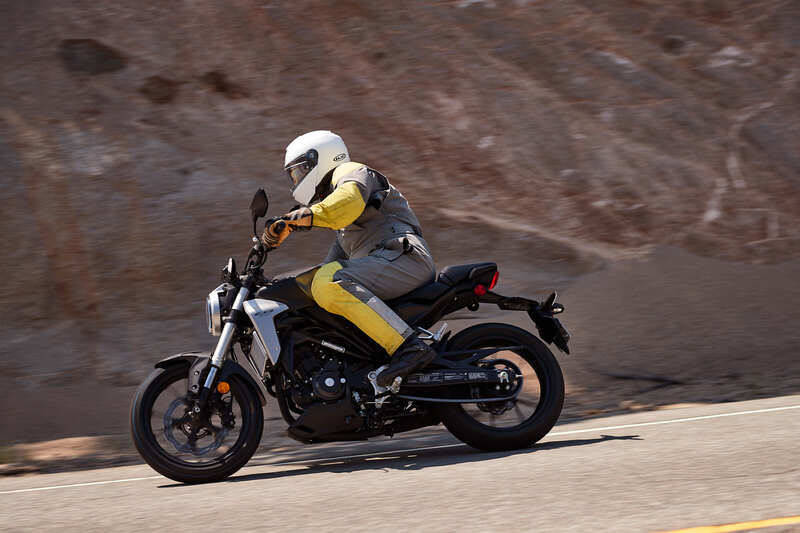 I failed to grab two downshifts into an uphill-exit corner and thought for sure I was going to receive a single-cylinder enema from a fellow moto-journalist. I also noticed my right heel resting squarely on the exhaust. It didn’t interfere with my riding and did not melt my boot, however some riders might not be so lucky. 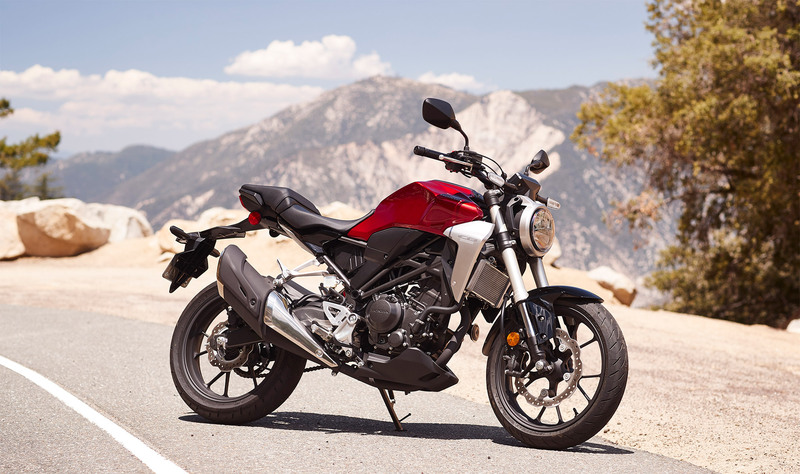 We’ll do a full CityBike-style ride-n-review in the future, but for now—at the risk of adding to our fanboy stigma—I’ll say that Honda’s new CB300R is a rock-solid choice for riders just getting into the sport, thanks to the low seat height, predictable brakes, and moderate but happy power delivery; and also a very fun bike for riders with a more advanced skillset.